Bygone Living: B&B Friday (7/9/10)! 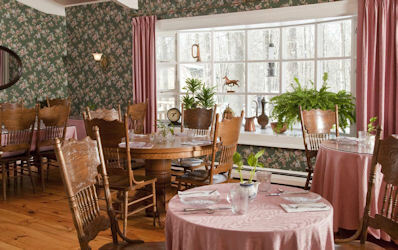 "Experience the charm of a cozy 18th century bed and breakfast steeped rich in America’s history. We are perfectly located between Plymouth and Campton in the surrounds of New Hampshire's spectacular White Mountains, Waterville Valley & Squam Lakes Regions, all within view of a tranquil country pond and the Pemigewasset River. Built in 1764, this historic year-around retreat is tastefully restored and furnished with antiques with period accents. This makes us your ideal destination for any 4-season White Mountain and Squam Lakes activities that are all within minutes of the inn. Our location is perfect fsummer 2009 special banner copy06or biking, hiking, golf, skiing, and especially travelers to Plymouth State University, The Holderness School, and others interested in antiquing, shopping, fine dining, local festivals and more!" 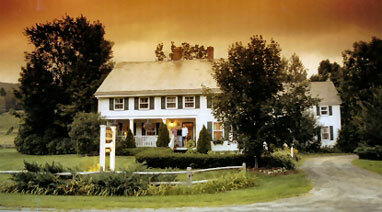 "Deer Brook Inn is a service-oriented Bed & Breakfast that offers attention to every detail. Our three-course candle light breakfasts showcase ingredients from neighboring farms. It is our pleasure to serve you in the formal dining or outside on the stone breakfast patio. 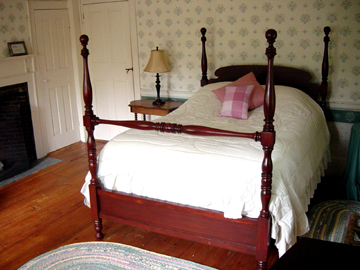 Our five guest accommodations blend the character of an 1820 colonial farmhouse with today's conveniences including private baths with both tub and shower, A/C, CD/radio combinations, individual thermostats and original artwork. The Woodstock area has much to offer families, couples, and individual travelers. Stroll through the village where there are many fine restaurants, shops, and galleries as well as the Marsh Billings Rockefeller National Park and The Billings Farm and Museum. For those who prefer outdoor venues, the region is home to skiing, sledding, ice skating, and snow shoeing as well as fly fishing, biking, canoeing, kayaking, horseback riding, and hiking." 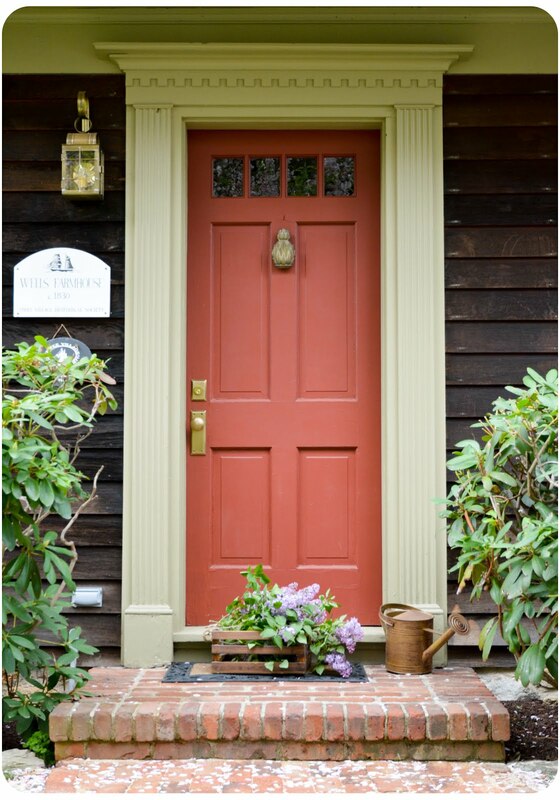 "Located just down the hill and around the bend from Lenox Center, Brook Farm Inn welcomes you to the grace of its Victorian past and the comfort of the present. Lovingly furnished, this bed-and-breakfast inn offers tranquility, surrounded by an acre of award-winning gardens, and a tradition of poetry and literature. At Brook Farm Inn, a sumptuous breakfast buffet awaits you in the morning, and English tea with homemade scones is served each afternoon. In our fire lit library, strains of classical music or jazz can be heard, and a jigsaw puzzle is always in progress. We showcase a 'Poem of the Day,' and sometimes guests are entertained at teatime with poetry readings or storytelling. Swim in our heated pool; relax in the hammock or on the porch." 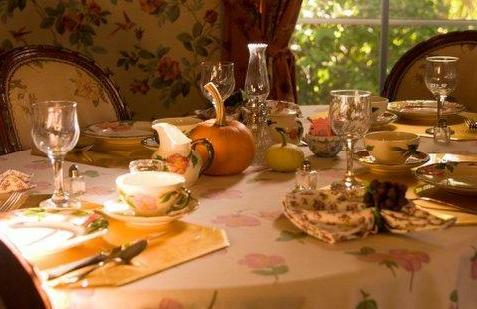 I love the Fall table setting in Woodstock. I bet Vermont is gorgeous in the Fall. And that fireplaced bedroom in Lenox looks divine. My trip to the Vineyard is in 5 weeks- yay! I am so enjoying the pictures from your trip. I love the built heritage of New England and the Atlantic provinces of Canada, so this is just such a treat! These B&Bs look so cute. I love the bedroom in the third one! Would love to visit New England some day! These are all so beautiful, Erin. Sure glad to hear it cooled down over there. We certainly experienced it 1st hand in Port Jeff. It was really tough to be out in that sun, and then ride back on the ferry in no shade or a seat. YIKES! Anyway....pretty hot here still. Loved all the Nantucket photos, too. It is a unique place and really a treasure. Dream Home for Sale (Stockton Springs, ME)!